I feel lucky to have caught this performance. 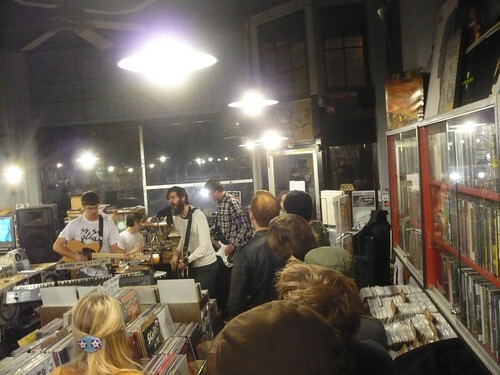 Titus Andronicus did a promotional, free, record store tour for the release of their new album, The Monitor. I hadn't even had a chance to hear the album yet, but had a feeling this would be a good show. And it was. This album is already being talked about as one of the best of the year. Songkick Is Now the Biggest Concert Database?